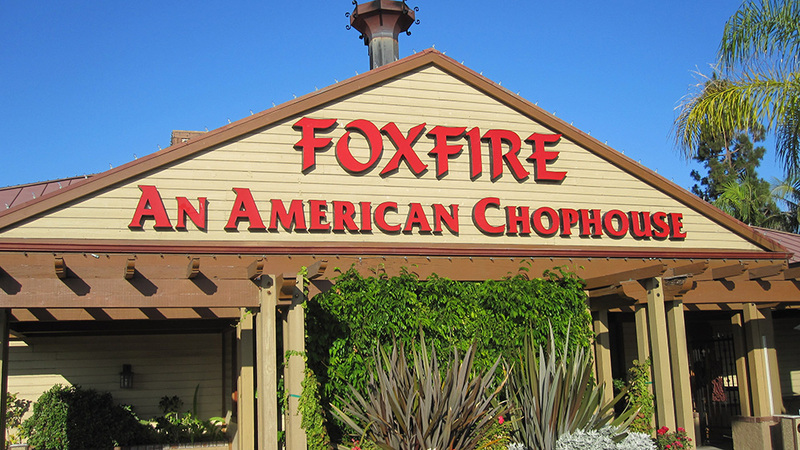 Yesterday we headed over to “The Foxfire” in Anaheim, CA. 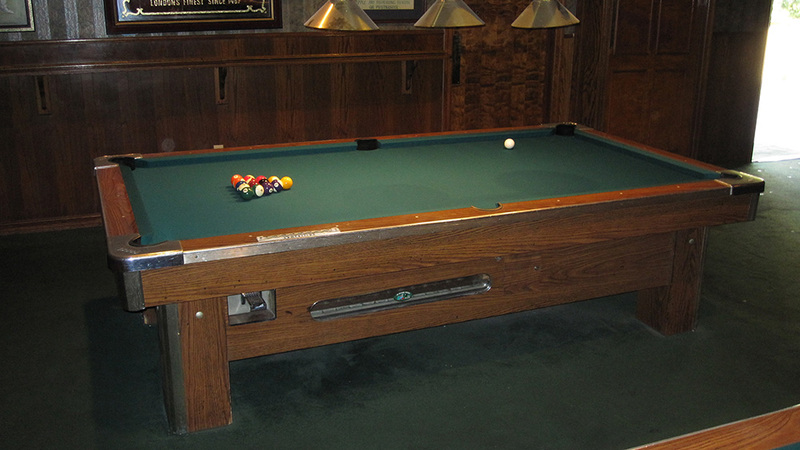 The two Global 9′ coin-operated pool tables were in serious need of some help. The table located nearest the restrooms was really out of level. I had Anthony take a look underneath the leg as I lifted the table. 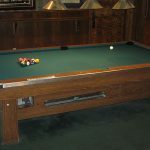 It looked as though someone had sat down really hard on the corner pocket. 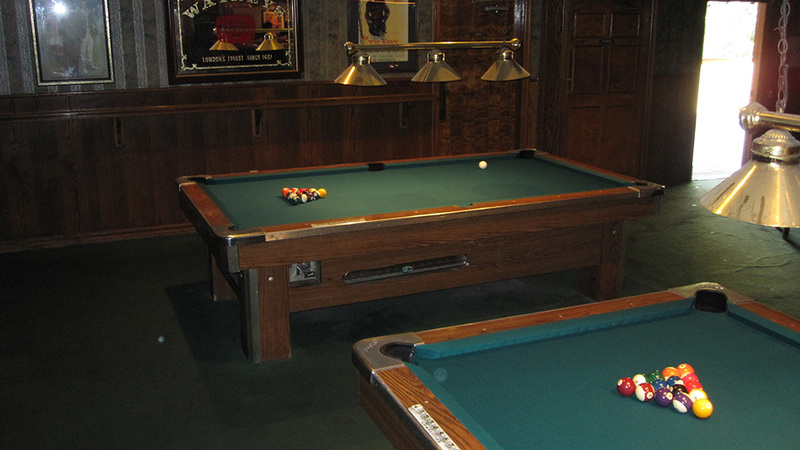 This particular Global pool table has concealed leg levelers. There is a one inch by one inch square leg leveler mounting plate that is screwed into a square piece of plywood recessed a few inches up from the bottom of the leg. 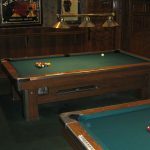 Well, the one inch by one inch mount had been punched all the through the recessed piece of plywood which made this corner of the pool table extremely low. Someone had the right idea in stuffing napkins and beer coasters underneath this leg. It’ll get the table pretty level, but looks a bit tacky sticking out the side of the leg. So we proceeded to lift the table up from the side and support it with some make-shift jack stands. I was able to unscrew and relocate the one by one plate to a structurally sound corner of the concealed plywood platform. Everything’s on the level now! All this sound like a lot of work, it was, but that’s not even why we were there. We were actually at The Foxfire to do the annual refelt. Over the past 12 years I have always refelted the two nine footers with our standard 21 oz. Mali cloth. 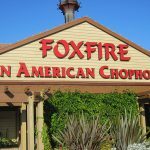 But yesterday was an historic event, the Foxfire went worsted. The owners decided to go with our Aramith Tournament cloth. It’s a 24oz. worsted cloth, that looks and plays just like Simonis 860 does, but at fraction of the price! 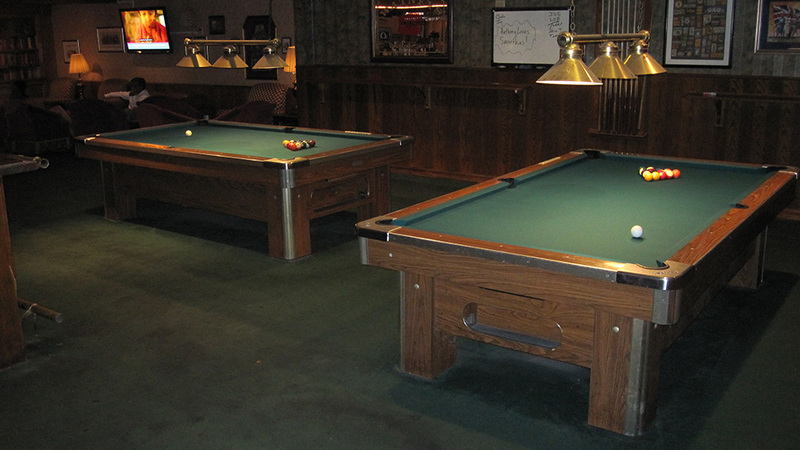 Stop by The foxfire in Anaheim Hills and have drink and check out the new pool tables.